The life-style change moving to Palm Beach from Los Angeles, by way of New York, has been tantamount to landing on another planet. I spent the last 20 years living off of adrenaline and ambition, and suddenly I am la di dah-ing my way through life. It is a dream come true, a lifelong goal, and I am totally thrilled it has worked out beautifully so far, but once in a while I do crave the excitement of Hollywood or the Chaos of Manhattan I left behind. At times of self-doubt I head to Worth Avenue to wander through the Vias, and revel in how lucky I am to be here at all. Still, being somewhat superstitious, a good sign from the Big Guy that I am on track always works wonders for my convictions. So when I passed through Via Bice during a recent personal pep talk walk I came face to face with not just a sign-but THE sign. Well, A Slab that I consider a sign. Fifteen minutes later I was in the make-up trailer being transformed into a 1980s Soho Art Investor, then I was directed to the set, where I was placed for the shot right next to one of my favorite actors of all time Gary Oldham. 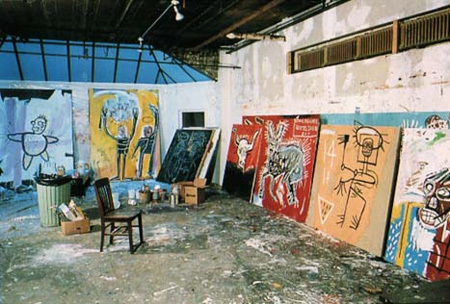 They had created an exact replica of the famed opening of Jean Michele Basquiat’s ground breaking one man show during the height of the Soho Art Explosion. The gallery was completely transformed back to 1981, and so were David Bowie as Andy Warhol, Dennis Hopper as Bruno Bischofberger, Parker Posey as Mary Boone, Michael Wincott as Rene Ricard, and the unbelievably talented Jeffrey Wight as Basquiat himself. Calling the shots was Julian Schnabel in his pajamas, with Iman, Isabella Rossellini, Olatz Schnabel, and Victoria Hopper sitting mind blowingly chic in the background. Not only did I stand there for 12 hours, but for two days worth! That’s a lot of time for two nobodies to stand in a small space with 6 heavy weights, and after the first few hours Andrew and I were members of this unreal team. The coolest team ever! By the end of my second day there were hugs and numbers exchanged, and a couple of the coolest relationships I have grew out of that experience. It was as close to heaven as I had gotten at that point in my life, and it still blows my mind just to think about. 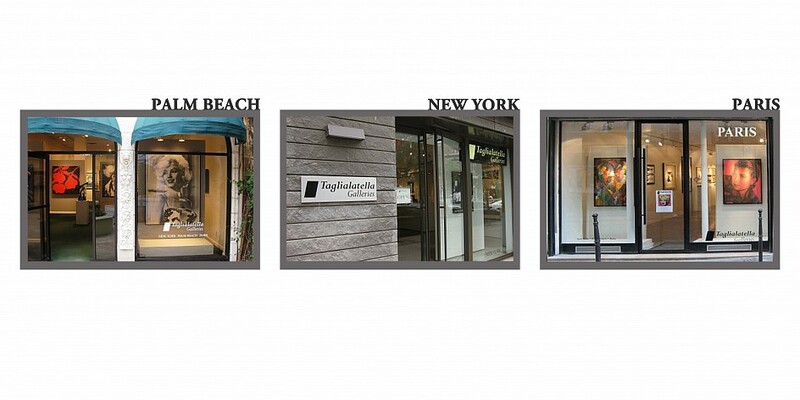 So, I stood there comatose the other day staring at the mysterious Basquiat Slab of sidewalk in the window at Taglialatellia Gallery reveling in my favorite professional memory of all time. I finally walked in to get the scoop. Was this the fabled slab? Yep! 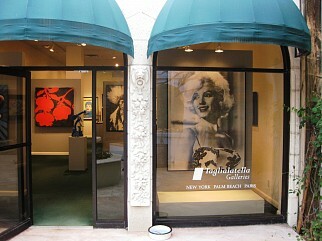 And now it is prominently placed in their front window on Palm Beach on sale for a mere $175,000. A bargain since Basquiat’s original works of art sell for upwards of 20 million dollars on the market today. I bolted home to research? Why is it now coming to surface? 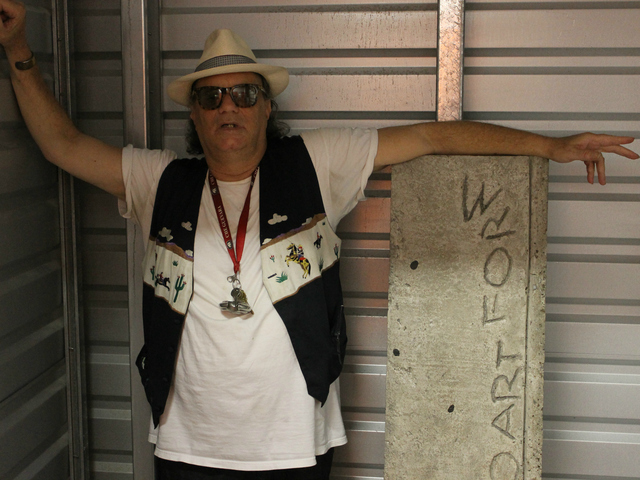 And isn’t $175,000 a little low for a true piece of American Art History? 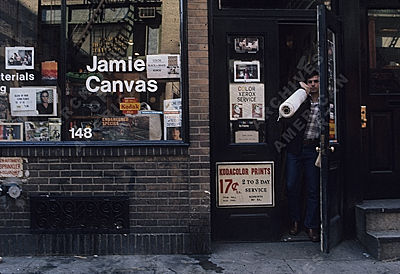 Turns out the owner of Jamie Canvas, Daniel Himmelfarb, the premiere art store in the Village for decades,traded supplies for art work seeing how special Basquiat was even in his late teens when he was a young graffiti artist tagging buildings all over manhattan with his moniker SAMO and philosophical epitaphs from the mind of a would be genius. 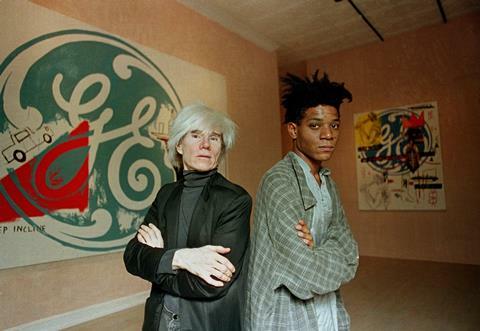 Himmelfarb knew that Basquiat once wrote “SAMO as a neo art form” in wet cement on a sidewalk outside what was once the Rizzoli Book Store on West Broadway, just north of Prince Street, and he saw a business opportunity. Himmelfarb hired two scab construction workers to cut out the sidewalk with a concrete saw, and then fill in the hole in the dead of night. 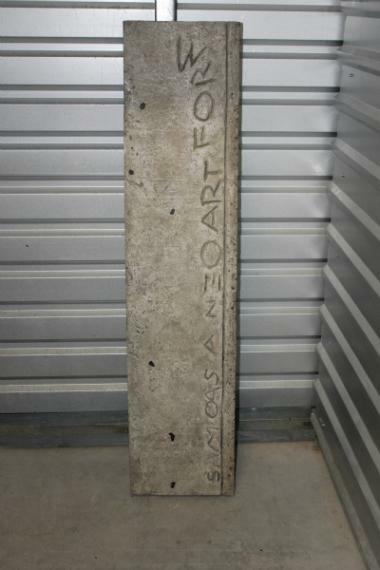 He then moved the slab to a Queens Village storage facility, and somehow, all these years later, it now resides down the street from my house. A good memory, a sign that you have fully lived, a moment in time remembered for which there is no compasrison, and the sense that it is only through experiences, those I had then and now, that I can truly evaluate what matters and where I am. The memories of my adventure with Basquiat are priceless, and so was being confronted with what I do believe is a sign that my life is exactly as it should be at this moment in time. Now, the question is, how do I get that slab home? Melrose jewelry wholesalers plus offers you see, the Melrose (MJ) Cartier follow blog page. the highest deer antler velvet extract. to their poor credit standing. About 6000 people in India are diagnosed with leukemia and blood-related cancer every year. Earning profits online has-been one of the most sought after approaches that numerous expert and budding webmasters undertake together with the main purpose of creating a monetary revenue.